It takes a giant leap of faith for a teacher to think that their students can learn the material on their own. Teachers become teachers to teach. It is natural for the teacher to want to force the student to learn. But, this is similar to trying to force the proverbial horse to drink. Think about how many video games people have learned and won, on their own! No one had to "teach" them how; no one had to force them to play. Tina Barseghian wrote a great article about video games and the wisdom that educators can glean from them. In this article she writes the following. REDEFINE TEACHERS AS LEARNING DESIGNERS. Game designers create well-designed experiences and social interactions. 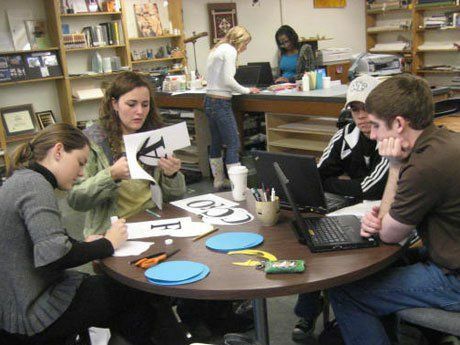 Teachers are designers of learning, and can create experiences tailored to suit their outcome. If we "re-professionalize" teachers as designers, they can create their own scripts for what they want students to learn. When educators can design learning environments well enough, students will be able to learn mostly on their own. In an environment where the educator is respected for their expertise, and appreciated for their faith in the student's abilities, they will be asked for their help, encouragement and clarification when the student needs it. In turn, the students are appreciated for their willingness to take responsibility, become involved, and do the work needed to succeed. Mutual trust and respect is created rather than confrontation. Change is inevitable and there is a bright new hope on the educational horizon.